The eRoadArlanda project consists of 2 kilometers (1.2 miles) of electric rail installed on a public road outside Arlanda Airport. The innovation was funded by the Swedish Transport Administration and is part of the government's goal of fossil fuel-free transportation infrastructure by 2030. The road is divided into 50-meter sections, with each section supplying power only when a vehicle is above it. When the vehicle stops, the current is disconnected. The system is also able to calculate the vehicle's energy consumption, which enables electricity costs to be debited per vehicle and user. 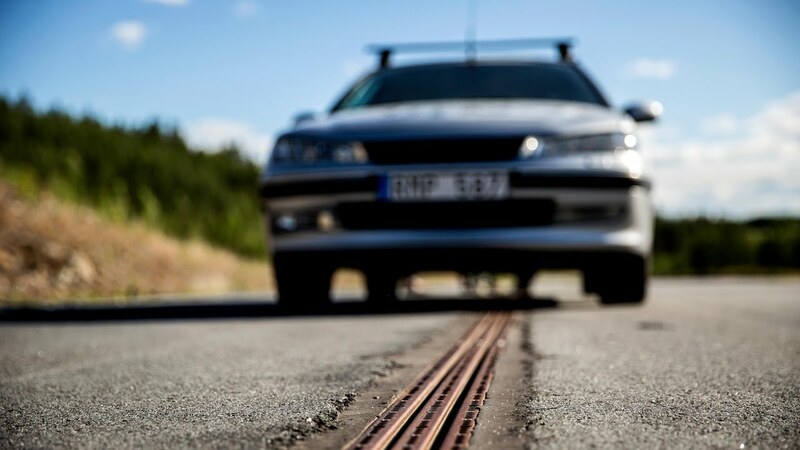 "Everything is 100 percent automatic, based on the connector magnetically sensing the road," Hans Säll, chairman of the eRoadArlanda consortium and business development director at construction firm NCC, told The Local. "As a driver you drive as usual, the connector goes down onto the track automatically and if you leave the track, it goes up automatically." The developers claim that electrified roads can cut fossil fuel emissions by 80 to 90 percent. According to the project website, "operating costs will be minimal, due to significant reductions in energy consumption arising from the use of efficient electric engines. Electricity is also a cleaner, quieter and less expensive source of energy, compared with diesel." Säll told the Guardian, "If we electrify 20,000 kilometers of highways that will definitely be be enough." "The distance between two highways is never more than 45 kilometers and electric cars can already travel that distance without needing to be recharged. Some believe it would be enough to electrify 5,000 kilometers," he added. According to the Guardian, electrification will cost about €1 million ($1.23 million) per kilometer, which is said to be 50 times lower than the cost of building an urban tram line. "One of the most important issues of our time is the question of how to make fossil-free road transportation a reality," Säll said in a statement. "We now have a solution that will make this possible, which is amazing. Sweden is at the cutting edge of this technology, which we now hope to introduce in other areas of the country and the world."